offers you the opportunity to create a personal bibliography, which matches precisely your requirements. The option allows you to to combine two results with the Boolean Operators. If you e.g. 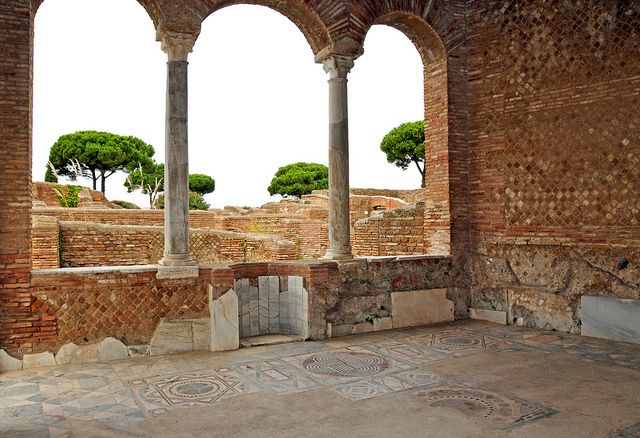 want to look at the domus of Ostia, you first create a result for “Topography-Italy-sites-Ostia” and then for “Architecture-monuments-dwelling-houses”. All you have to do now, is to combine the two results with “and”, looking through the result eliminating the titles of no use for you or ristricting the result by choosing a date range of publication. Afterwards you may save or stamp the result. In the first month of the new year we have referenced 2598 new titles for the “Archaeological Bibliography”, evaluating 177 new monographs and 143 new volumes of periodicals. Any advice and suggestions regarding content will be highly appreciated: please mail to Dr. Martina Schwarz. Concerning technical support please contact info@dyabola.de. A companion to Greek literature. (Chichester, Wiley-Blackwell, 2016), ed. Hose, M.; Schenker, D.
Amores Carredano, F. de: La colleción arqueológica municipal de Sevilla, 1886-2014. Historia y perspectivas. (Sevilla, ICAS, 2015) 170 S., Abb. Animals and inequality in the ancient world. (Boulder, University Press of Colorado, 2014), ed. Arbuckle, B.S. ; McCarty, S.A.
Beilke-Voigt, I. u.a. :Begleitheft zur Sonderausstellung “Archäologische Landschaften”. Veränderung und nutzung von Landschaft im Spiegel der Archäologie. -(Zossen, Brandenburgisches Landesamt, 2015), ed. Beilke-Voigt, I.
Bekker-Nielsen, T.; Czichon, R.; Høgel, C. u.a. :Ancient Neoklaudiopolis. Vezirkörü in Samsun province. A historical and archaeological guide. (Istanbul, Arkeoloji ve Sanat Yayinlari, 2015) 96 S., Abb. Buoni raccolti, buoni frutti, buona sorte. Culti agricoli e salutari a Bolsena in epoca etrusca e romana. Catalogo della mostra. Bolsena, palazzo Monaldeschi, 8 agosto – 31 ottobre 2015. (Bolsena, Città di Bolsena, 2015), ed. Tamburini, P.; Pellegrini, E.; Maggiani, A.
Das kaiserzeitliche Gymnasion. (Berlin, de Gruyter, 2015), ed. Scholz, P.; Wiegandt, D.
Gaza, from sand and sea, 1. Art and history in the Jawdat al-Khoudary collection, Gaza. (Ebaf, Mansour, 2012), ed. Chambon, A. Glass of the Roman world. (Oxford, Oxbow, 2015), ed. Bayley, J.; Freestone, I.; Jackson, C.
Globalized antiquity. Uses and perceptions of the past in South Asia, Mesoamerica, and Europe. (Berlin, Reimer, 2015), ed. Schüren, U.; Segesser, D.M. ; Späth, T.
Haec mihi in animis vestris templa. Studia classica in memory of Professor Leslaw Morawiecki. (Rzeszów, University of Rzeszów, 2007), ed. Berdowski, P.; Blahaczek, B.
I Encuentro de jóvenes investigadores en arqueología de la región de Murcia. De la arqueología prehistórica a la arqueología industrial. (Murcia, Universidad de Murcia, 2015), ed. Fernández Díaz, A.
Il vetro di pietra. Il lapis specularis nel mondo romano dall’estrazione all’uso. Atti del convegno internazionale, Museo civico di scienze naturali di Faenza, 26-27 settembre 2013. (Faenza, Carta Bianca Editore, 2015), ed. Guarnieri, C.
La nécropole celtique à Luda, Varjú-dülö. (Budapest, L’Harmattan, 2012), ed. Szabó, M.; Tankó, K.; Czajlik, Z.
Les Judaïsmes dans tous leurs états aux Ier – IIIe siècle. Les Judéens des synagogues, les Chrétiens et les Rabbins. Actes du colloque de Lausanne, 12-14 décembre 2012. (Turnhout, Brepols, 2015), ed. Clivaz, C.; Mimouni, S.C.; Pouderon, B.
Lucretius. Poetry, philosophy, science. (Oxford, Oxford University Press, 2013), ed. Lehoux, D.; Morrison, A.D.; Sharrock, A.
Munuscula in honorem Zeljko Rapanic. Zbornik povodom osamdesetog roðendana. (Zagreb, Sveuciliste u Zagrebu, 2012), ed. Jurkovic, M.; Milosevic, A.
Mythos und Kulturtransfer. Neue Figurationen in Literatur, Kunst und modernen Medien. (Bielefeld, Metabasis, 2013), ed. Krüger, B.; Stillmark, H.C.
Network analysis in archaeology. New approaches to regional interaction. (Oxford, Oxford University Press, 2013), ed. Knappett, C.
New approaches to the temple pf Zeus at Olympia. Proceedings of the First Olympia-Seminar 8th-10th May 2014. (Newcastle upon Tyne, Cambridge Scholars, 2015), ed. Patay-Horváth, A.
Pompéi et l’Europe, 1748 – 1943. (Milano, Electa, 2015) Original: Pompei e l’Europa (Milano 2015), ed. Osanna, M.; Caracciolo, M.T. ; Gallo, L.
Raum und Performanz. Rituale in Residenzen von der Antike bis 1815. (Stuttgart, Steiner, 2015), ed. Boschung, D.; Hölkeskamp, K.J. ; Sode, C.
Rolfo, M.F. : La grotta di Mora Cavorso. Alla scoperta della preistoria nell’alta valle dell’Aniene. (Roma, Espera S.R.L., 2015) 68 S., Abb. San Teodoro. Storia di un comune costiero della Gallura. Il territorio e il Museo. (Olbia, Taphros, 2014), ed. Mancini, P.; Sanciu, A. The Bible and hellenism. Greek influence on Jewish and early Christian culture. (Durham, Acumen, 2014), ed. Thompson, T.L. ; Wajdenbaum, P.
The conservation of subterranean cultural heritage. (Leiden, Taylor and Francis, 2014), ed. Saiz-Jimenez, C.
The roots of liberal arts in antiquity. A handbook. (Freiburg i.Br., Rombach, 2015), ed. Bruzzone, R.; Michel, C.
World antiquarianism. Comparative perspectives. 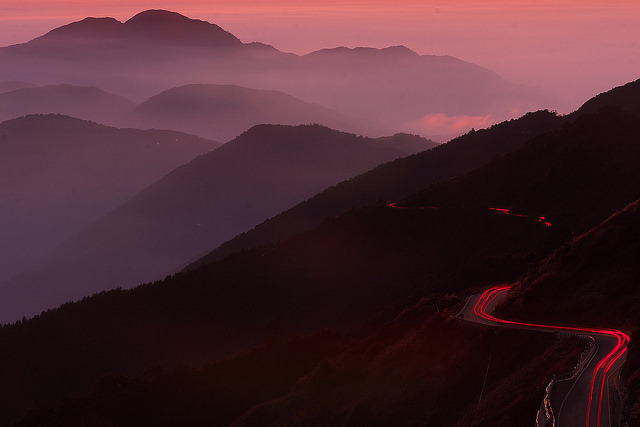 (Los Angeles, Getty Research Institute, 2014), ed. Schnapp, A. Beginning a new year! 30676 new titles in 2015! One year ago we firmly promised to reach 30000 titles: And we keeped our promise in adding 30676 new titles in 2015. As we approach the end of another year, as every year, we would like to say THANK YOU to all our users and customers for your confidence in the services we provide. And THANK YOU once again for your continuous support. Without your support and interest our work would not be possible! 2015 has been a successful year for “Archaeological Bibliography”, Dyabola: more than 30000 new titles added, once more the best result ever. “Archaeological Bibliography” is growing constantly year after year, week after week. We have added ca. 8000 new links to full texts, referencing more and more doi-links with the intension to facilitate your research. We created new subdivions in the systematic tree and reopend subdivisions closed down in 1997. “Archaeological Bibliography” keeps moving strong and we are looking forward to 2016. In the first two weeks of December we were able to gain 1205 new titles for the “Archäologische Bibliographie”. Below you will find the list of new monographs and periodicals which were referenced in the this month. Just in time – right before the end of the year – three important journals of classical studies have been published. You will find them already referenced in the “Archaeological Bibliography” : The “Mitteilungen des Deutschen Archäologischen Institutes, Römische Abteilung 121, 2015”, the “Journal of Roman Archaeology 28, 2015” and the “L´antiquité classique 84, 2015”. A cultural history of food in antiquity, 1. (London, Bloomsbury, 2012) reprinted 2013, ed. Erdkamp, P.
A cultural history of the senses in antiquity. (London, Bloomsbury, 2014), ed. Toner, J.
Arbeit am Mythos. Leistung und Grenze des Mythos in Antike und Gegenwart. (Tübingen, Mohr Siebeck, 2013), ed. Zgoll, A.; Kratz, R.G. Archaeology of salt. Approaching an invisible past. (Leiden, Sidestone Press, 2015), ed. Brigand, R.; Weller, O.
Archaiologikés sumbolés, G. Boiotia kai Euboia. Ephoreíes archaiotéton Boiotías kai Eúboias. (Athéna, Mouseío kukladikés téchnes, 2015), ed. Oikonomou, S.
Cities called Athens. Studies honoring John McK. Camp II. (Lewisburg, Rowman and Littlefield, 2015), ed. Daly, K.F. ; Riccardi, L.A.
Da Evarco a Messalla. Archeologia di Catania e del territorio dalla colonizzazione greca alla conquista romana. Guida alla mostra. Catania, Museo archeologico regionale “Ignazio Paternò Castello V Principe di Biscari”, via Garibaldi, 233 Catania, 21 dicembre – 10 marzo 2013. (Palermo, Regione siciliana, 2012), ed. Turco, M.
Der Gang der Dinge. Welche Zukunft haben photographische Archive und Nachlässe? (Berlin, Frühwerk Verlag, 2013), ed. Fricke, C.E. Dionysos. Rausch und Ekstase. (München, Hirmer, 2013), ed. Philipp, M.
Fueron felices y comieron perdices. Gastronomía y literatura. (Madrid, Ediciones clásicas, 2014), ed. Santana Henríquez, G.
Il princeps romano. Autocrate o magistrato? Fattori giuridici e fattori sociali del potere imperiale da Augusto a Commodo. (Città di Castello, IUSS Press, 2015), ed. Ferrary, J.L. ; Scheid, J.
Il tesoro di Misurata (Libia). Produzione e circolazione monetaria nell’età di Costantino il Grande. Convegno internazionale di studi. Roma, Istituto nazionale di studi romani, Onlus, 19-20 aprile 2012. Atti. (Catania, Edizioni del Prisma, 2015), ed. Garraffo, S.; Mazza, M.
Invention des agricultures, naissance des dieux. (Marseille, Hazan, 2015), ed. Guilaine, J.
Lautus erat tuscis Porsena fictilibus. Studi e ricerche sul bucchero dell’area chiusina per Luigi Donati. (Pisa, Edizioni ETS, 2014), ed. Bruni, S.
Museo palafitte Fiavé. Guida al museo. (Fiavé, Comune di Fiavé, 2014), ed. Bellintani, P.; Silvestri, E.; Franzoi, M.
Representations, signs and symbols. Proceedings of the symposium on religion and magic. (Cluj, Editura Mega, 2015), ed. Riscuta, N.C.; Ferencz, I.V. ; Tutila Barbat, O.
Rovine. La forza delle rovine. [Mostra Roma, Museo nazionale romano, Palazzo Altemps, 8 ottobre 2015 – 31 gennaio 2016. ](Milano, Electa, 2015), ed. Barbanera, M.; Capodiferro, A. When the Greeks ruled Egypt. From Alexander the Great to Cleopatra. [Exhibition. Institute for the Study of the Ancient World at New York University, October 8, 2014 – January 4, 2015. Art Institute of Chicago, October 31, 2013 – July 27, 2014. ](Princeton, Princeton Library Press, 2015), ed. Casagrande-Kim, R.
Posted in Archäologische Bibliographie, Projekt Dyabola, Update Announcements | Comments Off on Beginning a new year! 30676 new titles in 2015!